The Dr. John A. Peoples, Jr., Endowed Scholarship for ARMY ROTC supports provides scholarships for Cadets to pay for tuition, textbooks, supplies, and other fees included in the cost of education for eligible students. 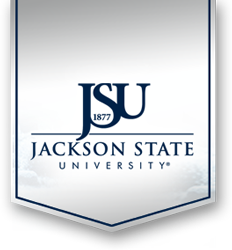 The University Scholarship Office or representatives thereof will be responsible for selecting the recipients utilizing the following criteria: 1) Cadet must be a sophomore or junior, 2) Cadet must be enrolled in the JSU Army ROTC Program, and 3) Cadet must have a G.P.A. of 3.0 or higher. To give, go to http://www.jsums.edu/giveonline/ and select "Army ROTC Scholarship Fund" under Specific Fund/Scholarship. All donations to the JRAP come from Tiger Battalion Alumni through annual dues, class gifts, or individual donations. These funds will primarily go towards Alumni events such as the Hall of Fame Ceremony, Homecoming activities, etc. We encourage Alumni to make collective donations on behalf of their class. Any donations to this cause will fund Cadet events like the annual Dining In, Spring Gala, Commissioning Ceremonies, and support to JSU football games. You can donate via check or cash, or by PayPal using armyrotc@jsums.edu. We are proud to announce that the Tiger Battalion Cadet Fund is a 501(c)(3) registered organization!